Keep Calm, Introverts: A Guide to Socializing for New Students | Grand Central Magazine | Your Campus. Your Story. For incoming students who are reserved, I feel you. Growing up, I was considered the “quiet girl” who observed the world, and sometimes, it feels the world views introverted souls like me as abnormal beings. So, freshman year as a former introvert was a long social journey. I’m going to be honest, it was a frustrating first semester. It was not easy, but I went outside of my comfort zone successfully, and in the end, there was a fairy tale ending. I managed to socialize with everyone in my residence hall by the end of my first year. Going outside your comfort zone is a must, but it doesn’t mean you need to conform to the social standards of others. To find your balance, here is some advice for both introverts and extroverts for the new academic year. 1. Sit in the lobby. I met so many diverse people by doing my homework in the lobby of my resident hall. The number of deep conversations and music sessions that happened was incredibly eye opening. If you don’t live in the residence hall, sit in public areas like a coffee shop or the University Center. It is scary, but honestly it was where I met many influential peers during my time here at Central Michigan University. 2. Get involved in a community of interest. There are so many extracurricular organizations here on campus. Attending a organization’s meeting creates more opportunities to branch out, and these meetings are great for meeting those who share the same passions as you. These connections add value to your college experience. 3. Value your alone time. It’s okay to have alone time, it is not a sin. Time by yourself is time to regain your energy and reflect on intellectual thinking. 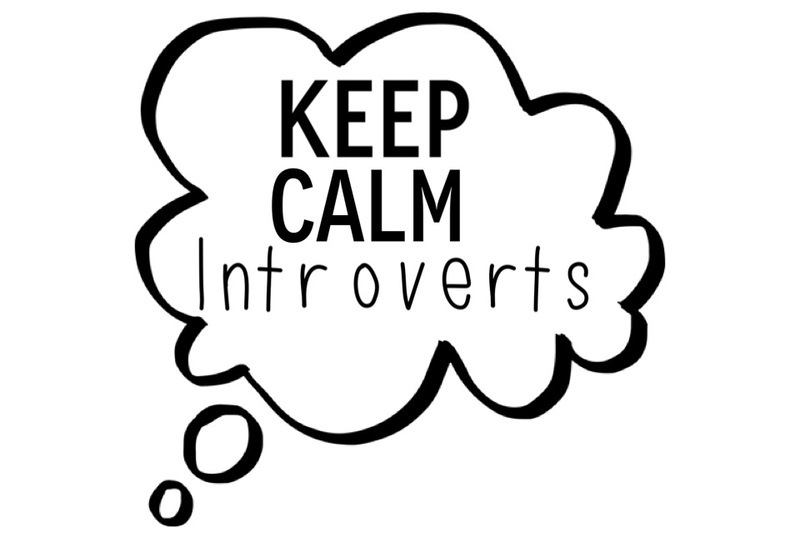 Side note: Be sure not to use your introversion as an excuse to not socialize consistently. Extroverts are known to have bold personalities. They are talkative and outspoken, which are qualities I deeply admire. When socializing with an introvert or a shy peer, ask them quality questions. Ask something deep and meaningful to the person you are talking to, such as why they chose their major, and truly try to understand their reasoning and experiences. I believe extroverts can use their gifts to create an inclusive environment for all social levels. For the social butterflies, here are some common stereotypes about introverts to avoid so those on various social levels feel included. 1. They’re just so quiet. The most hated stereotype for all introverts. Don’t ask why we speak so little. Instead of talking, an introvert takes time to listen and reflect on the current conversation. Usually before I share, I invest more time to think about my opinion. I want to understand the situation fully before I put my thoughts into the conversation. 2. They don’t live fully and won’t get far in life. A peer told me I didn’t “live it up” enough because I wasn’t extroverted like them. I wish they could see my introverted self now as I socialize at CMU, study abroad and pursue my career interests (*flips box braids of fierceness*). 3. They seem stuck up. Just because someone is quiet doesn’t mean they are on their high horse. We apologize for our resting face in advance, too. Have you really gotten to know them, though? 5. They are so soft spoken! Everybody is weird, duh. Embrace it! 7. They should be more outgoing. You may not have noticed but all humans are d-i-f-f-e-r-e-n-t. There are people who are an open book and some prefer to open up when comfortable. So, introverts, take a deep breath and dive head first this school year, but also remember to take time for yourself. Extroverts, do your thing, but be conscious of us less-outgoing companions, and do your best to make us feel included, too. Separator image Posted in Advice, Opinion, Opinion & Advice and tagged with Amy Cain, Extrovert, Introverts, Opinion & Advice, Socializing.